Following the recently concluded State of the Industry Conference on tourism in Barbados, Minister for Tourism and Civil Aviation, the Hon. Clarice Modeste, along with Ministry officials, summoned her Advisory Committee on Airlift, Grenada Tourism Authority and Grenada Airports Authority to discuss anticipated changes to the Grenada route by LIAT Airlines. 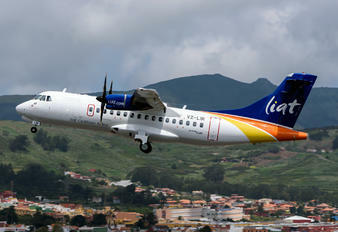 LIAT has since officially indicated to Grenada that effective Friday, 23 September 2016, Flight 738 will no longer operate between Grenada, St Vincent and Port of Spain. Similarly, from 24 October 2016, Flight 560, which will normally provide daily service at 7:05 am to Barbados and onwards, will be discontinued. The Ministry recognizes some inconveniences will result both for locals and visitors to our country and has already commenced discussions with LIAT with a view to possibly revisiting these reductions. The Airlift Committee of the Ministry is also assiduously engaged in examining options available to alleviate any problems which will arise due to these cancellations and to ensure that access to and from Grenada is maintained and expanded.